The British Psychological Society (BPS) works to increase the influence of psychology in society, and there is no higher priority for any society than its defence and security. Every member of our community is affected by the many ongoing security challenges, including economic, environmental, social-justice, terrorism, cyber-crime, and rogue military states. To meet these challenges, we rely on the government to sustain our security, which sees the UK retain the fourth largest defence budget in the world, leading internationally as one of the five permanent members of the UN Security Council, and maintain its status as one of only five recognised nuclear powers. We also see hundreds of thousands of our citizens protect our country daily through local and national government, policing and the justice system, intelligence and research, the military and humanitarian agencies, defence industries, voluntary and emergency services, veterans and defence healthcare, and academia. 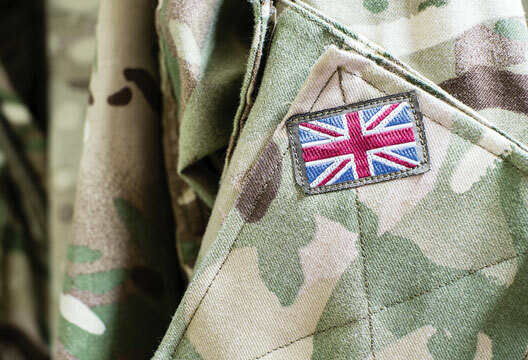 Many British psychologists work closely within and across the varied arenas of UK defence and security, including clinical, occupational, forensic, educational, neuropsychology, research, counselling, and academic. Yet, despite the scale, influence and priorities of defence and security in our community, there remains no united voice representing psychologists who work in this crucial area. There is a growing need for an official platform from within our professional representative body to meet the continuing challenges of defence and security. We believe that it is now time for the BPS to support and monitor the influence of psychology in this field in a formal and collective manner. Therefore, we have proposed that the BPS forms a new Section on Psychology in Defence and Security. This year marks the centenary of the first British consultant psychologist to the UK Armed Forces, which led to many significant advances in the application of psychology to areas of conflict. As a result, we now invite you to be part of a new chapter in British psychology and support this important and exciting endeavour. Whether you work directly or indirectly in defence and security, or have an interest in this area, we ask for your support. The creation of the Section requires the support of 1 per cent of the membership (around 600). The new Section will then be placed before the Society’s Trustees for approval. We currently have a quarter of the required number already registered and if you would like to support us in this endeavour then please follow the link and complete the registration form.